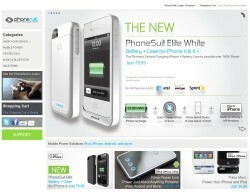 Pinnacle Cart is an excellent easy to use shopping cart with solid customer support and seo tools. I searched the internet for Pinnacle Cart reviews by customers and found nearly all positive responses mostly attributed to Pinnacle Carts excellent customer support. I was blown away by number of postive comments online and this actually led me to want to create this Pinnacle Cart review right away to see what all the fuss was about. There are only 15 free designs available and no paid designs. All of the free designs are classic and simple looking, ie nothing to special on them. There is a drag and drop design editor which is very easy to use along with tools to change the colors, css, fonts etc for all elements of the design. 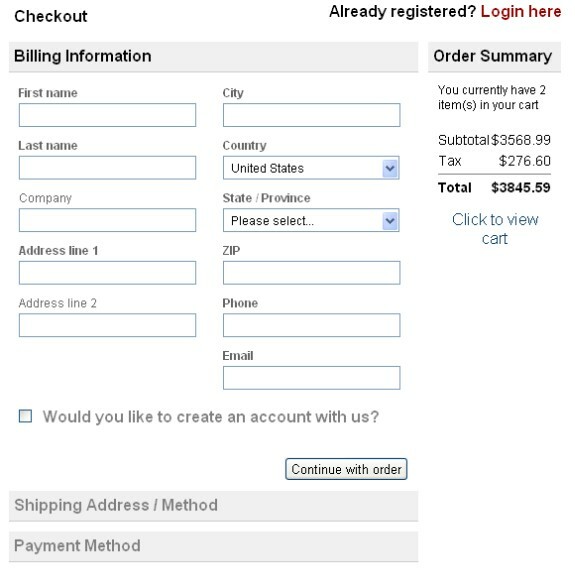 In my opinion the designs don't compare in quality with those of other shopping carts like BigCommerce. The inventory options were easy to understand and update. I did come across some difficulty when trying to add attributes to an item, ie sizes, colors etc. The attributes here are more difficult to understand then some carts. Instead of having different fields to enter in the price and weight difference etc you are required to use a special syntax when adding these attributes, check the screenshot for more details. Inventory control tracking for attributes was more difficult then some other carts. For instance you have to enter each combination with quantity separately, ie size=small, color=red qty=10, size=medium, color=blue, qty=15. This can take a really long time. Conversely some other carts provide a full list automatically of all possible combinations and you can simply add the quantity. They both work the same in the end but this way does take longer. This does appear to be easier if done via the item bulk import. If you have a large quantity of items you would most likely not be added each one individually via the user interface. 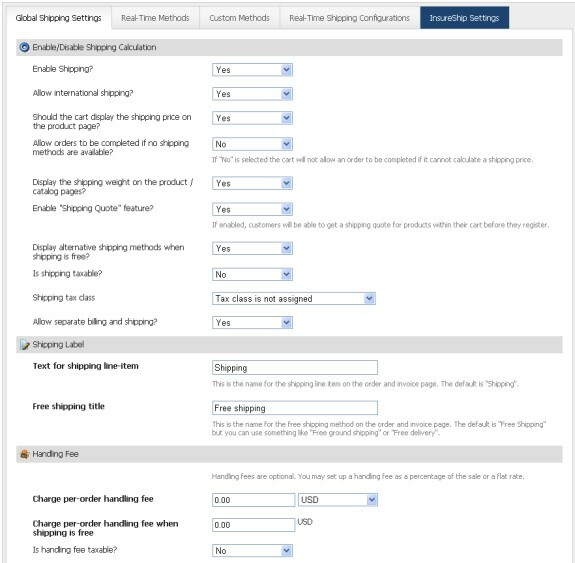 Shipping is very full featured and easy to understand. You can choose to ship to just your country or to all countries, there is a place elsewhere to define what countries you allow. 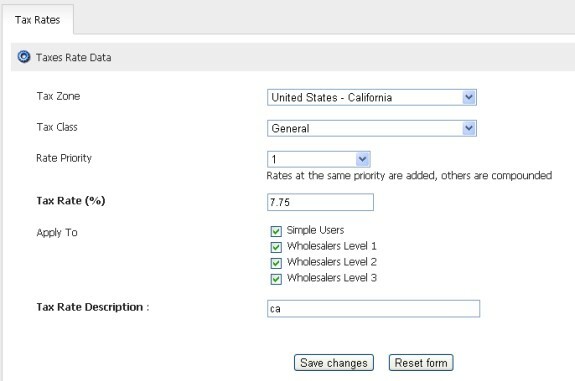 Shipping can be calculated using a set formula or via realtime calculations with the major shipping providers. There are even spots to add on additional handling fees. Taxes are lacking in that they do not allow charging taxes by zipcode only by country and/or state. You can add handling for different tax classes, ie if some of your items should be taxed at one right and other items taxed at another rate. For purposes of this PinacleCart review I did contact Pinnacle Cart support to ensure that I wasn't missing the taxes by zipcode component. At first the rep told me it was possible but eventually after going through the process he conceeded it was not possible. The rep I spoke to said that this is something that Pinnacle Cart will be working on adding soon. Their recommendation was to charge everyone in the state the highest tax rate to avoid this issue. 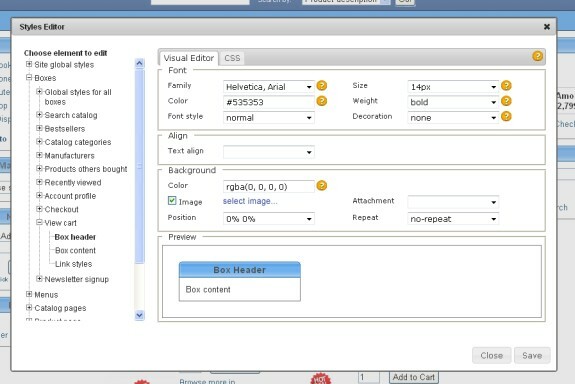 The design is very customizable using the drag and drop editor and also the text and color editing screens. In addition Pinnacle goes beyond most other hosted ecommerce in that you can actually access the source code itself if you are one of their 2 larger plans. This allows for complete customization. You can click on any of the components of the template in design mode to bring up the screen below which allows you to pick colors, fonts etc. 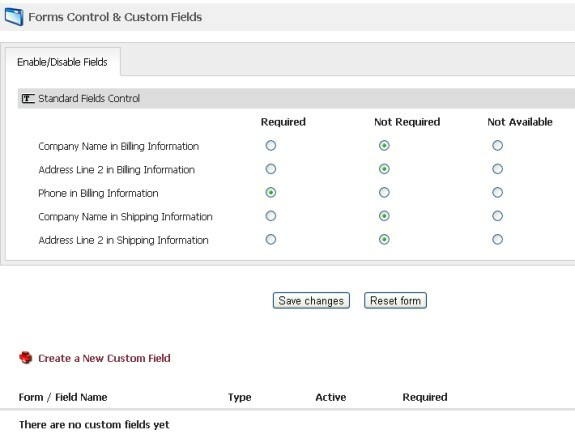 In addition to design customization there is an easy form editor to allow customize the registration and checkout fields. 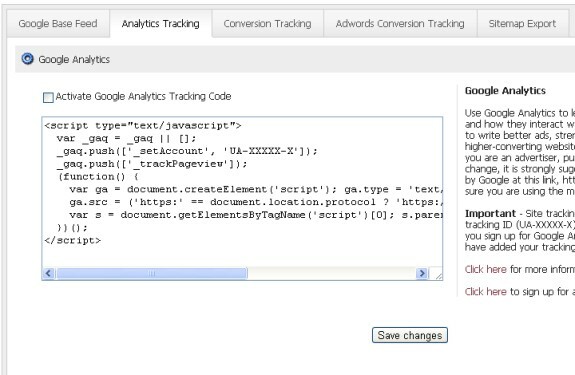 You can hide certain fields, ie address line 2, company etc and add additional fields for capture. This is useful if you have special information to collect during registration, for instance I once had a merchant who had a birthday club and thus wanted to know the birth month of all of their customers to send out a special coupon. The cart is very seo friendly. 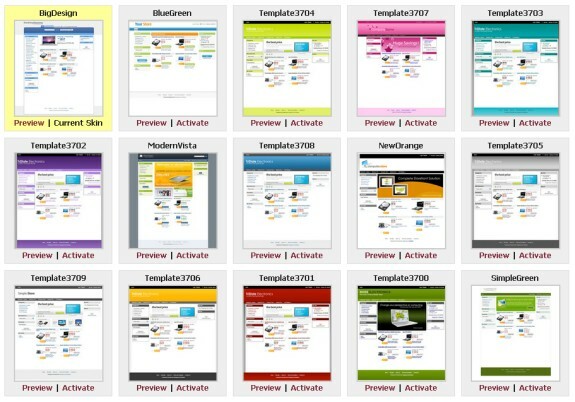 All urls can be modified as needed and you can change the default patterns as well. 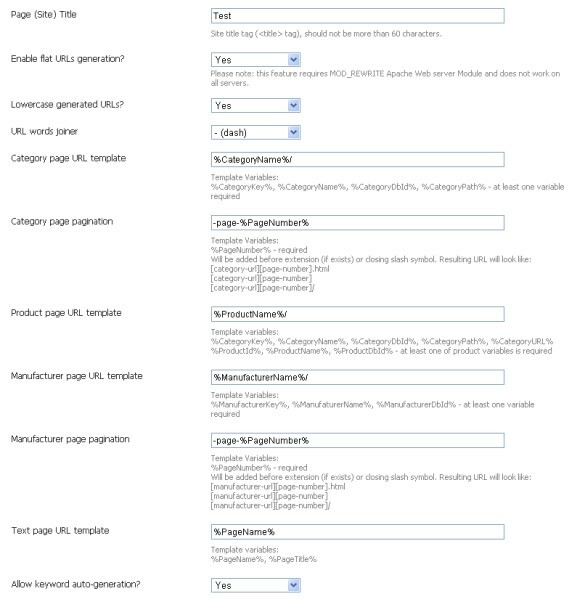 When I started my Pinnacle Cart review the default url for item pages included the category name and item name, ie category/item but I changed it to just have the item name or id etc. 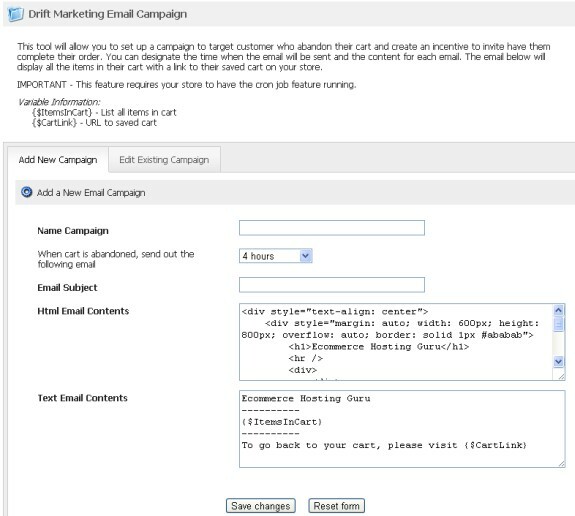 Pinnacle Cart has an awesome feature that they call "Drift Marketing". This is something new that I've not heard of before and essentially it allows you to setup an automatic email to go out to someone who left items in their shopping cart over a certain number of hours ago and you can incentize them to come back by giving them a discount off their order when they return. Definition of Drift Marketing: taking an action to bring a customer back to your storefront to complete their order. Reporting is pretty standard nothing to special here, you can see a list of the available reports in the screenshot below. All reports are easy to read and there is a link to the printable version as well. Pinnacle Cart supports a large number of payment gateways but most are geared towards US and Canadian merchants. Pinnacle Cart offers a variety of integrations specifically for all Google tools such as Google Adwords, Google Conversion Tracking, Google Adsense etc. All you need to do is enter your account id in the provided code and enable it. Pinnacle Cart also provides affiliate integration with iDev affiliate program, automatic importing of products from Doba and more. 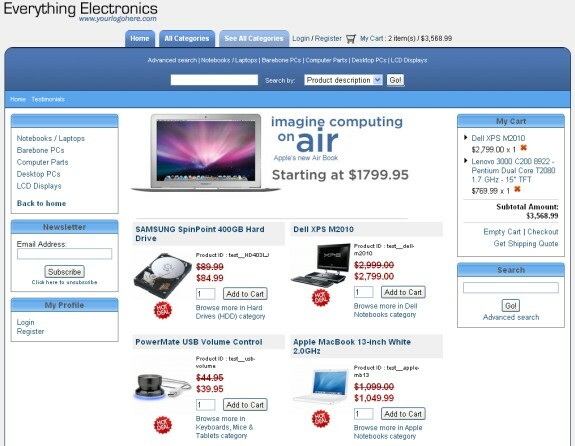 The store interface is clean and easy to use. 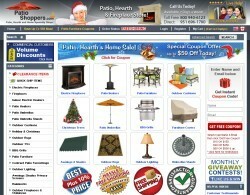 The designs are nothing special but they are workable and easy for a customer to understand. 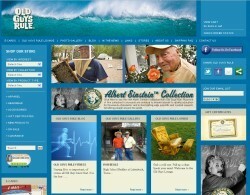 The pages are quick loading and very easy to customize. 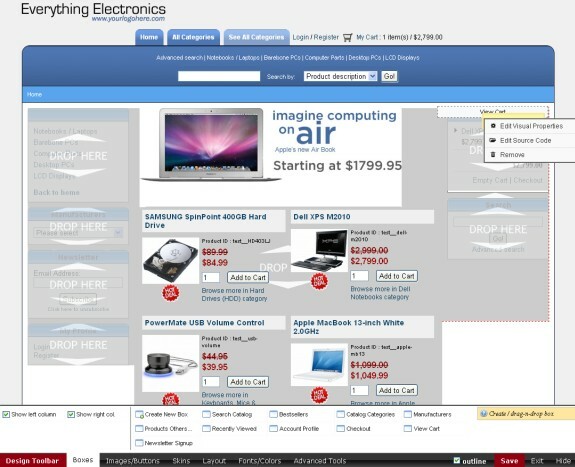 You can choose from a variety of pre-defined item display layouts. Checkout can be configured as a one step or multi-step process and you can also choose whether to allow customers to checkout without creating an account or require them to create an account. Very flexible and easy to use. 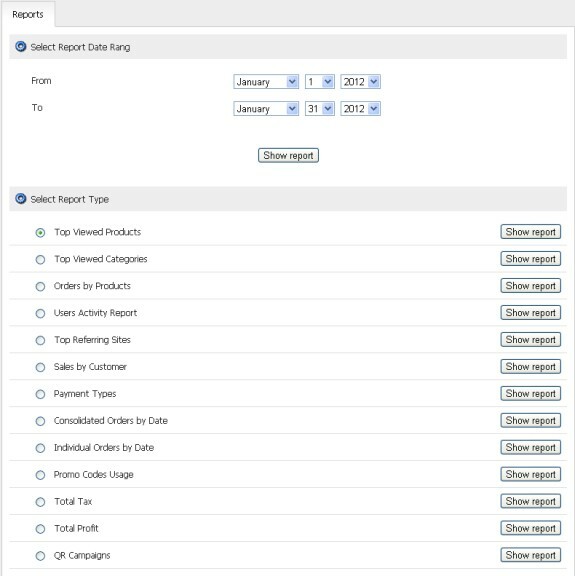 I may have missed during my Pinnacle Cart review but I could not find anyway to direct the customer to the view cart page automatically after adding an item to the cart. 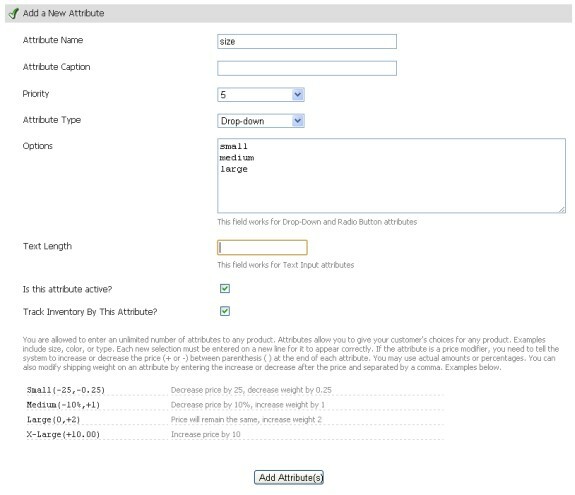 Because of this I recommend that you always display the small cart on your page somewhere to alert the customer that the item has been added to the cart successfully. 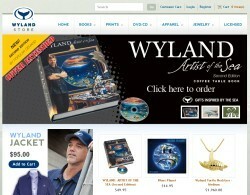 Both the cart and store were very responsive during all of my review testing. The cost for the hosted version of Pinnacle Cart is comparable with other hosted solutions. The lowest plan is $30 per month and the highest plan is $150. 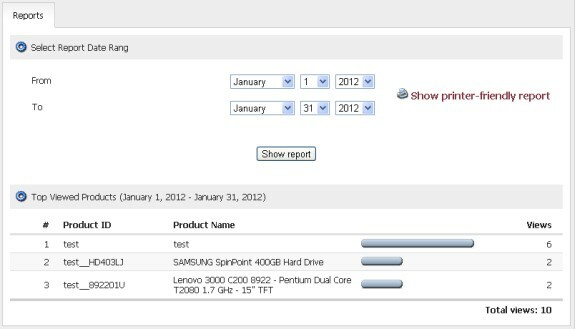 The lowest plan is a bit more then other hosted carts but the highest plan is a bit less. In addition Pinnacle Cart gives unlimited items on all plans. The only real differences between plans is the amount of bandwidth, ftp and source code access. Pinnacle Cart is one of the few hosted providers who also offers a downloadable version for $797 which includes 30 days of support. I contacted Pinnacle Cart support on several occasions to pepper them with questions I had about the interface and problems that I had signing up for my trial (ie never got the activation email). Each time I called the phone was answered in less than a minute and a knowledable person answered and helped me figure out the issue. I was eager to test them out since I had reach such good things on the customer review and I was not disappointed. A few times I was initially given the wrong answer but within a few minutes of explaining I had the correct answer. The high rating I give this cart is in large part due to the huge number of positive customer reviews I have read online. On the other side of things I did not think that the Pinnacle Cart online help was as good as most of the others. I had a hard time finding my own help online which is why I did have to call more often. As long as someone is there to answer my questions Im personally ok with this. Live support personal are very knowledgable and helpful and answered very quickly. Actual customers love this cart. That says a lot about Pinnacle Cart and their quality. If I consistantly read good things I know that they care about the customers. If I consistantly read bad things then I get scared. Free Designs: I wasn't impressed with their free design offerings. You can always hire a designer or use the basic designs they just were not as polished as those provided by other shopping carts. Taxes: No support for taxes by zipcode could be a problem for some people. If your state uses a local tax rate consider this carefully before signing up. Most other carts support taxes by zip code. Item Attribute Entry: I'm not particularly fond of their item attribute entry, but not everything can be perfect right? Below are actual stores built using the Pinnacle Cart shopping cart. 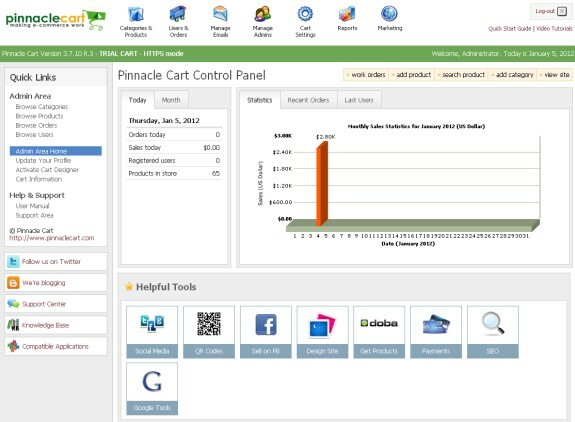 Pinnacle Cart is a solid shopping cart option. I highly recommend it especially for the more techie among us who might want to possibly customize the shopping cart highly. It has less features then some of the other top carts reviewed but all functionality that is present is error free and highly functionality. Ie they do not try to put in a feature halfway just to say they have it. If you still need more information before trying Pinnacle Cart I've included links to a few other good Pinnacle Cart reviews below.